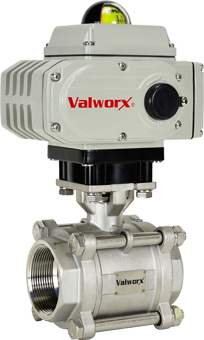 Valworx 565363A electric actuated 3-piece stainless steel ball valve is used to control the flow of water, air, oil, and other media compatible with the materials of construction. The valve has a unique three piece investment cast bolted body design with the advantage of a swing out body for easy inline maintenance. The EPS- Electronic Positioning System provides an accurate valve positioning function whereby the movement of the actuator is controlled by a 4-20mA input control signal. Any change in the control input signal results in a corresponding and proportional change in the position of the ball. 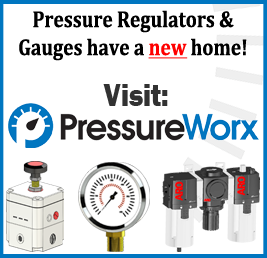 The internal microprocessor and closed loop feedback system continuously monitors and maintains accurate valve position. The valve will remain in the last known position with loss of electric power.